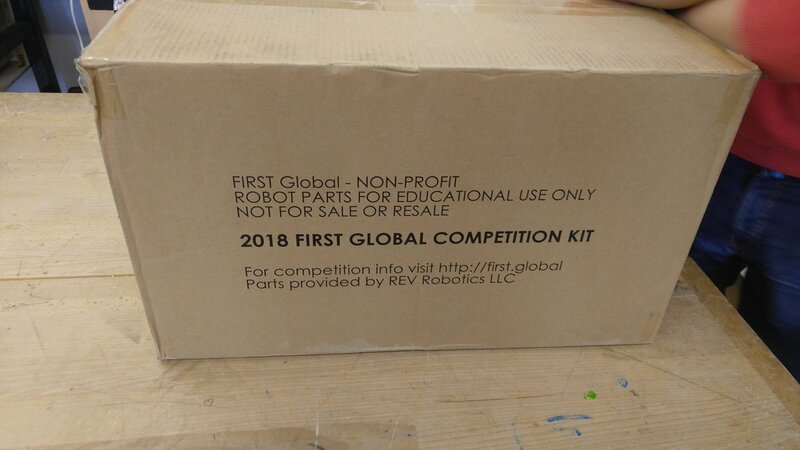 The kit arrived finally arrived the day after our finals were over. Perfect timing! 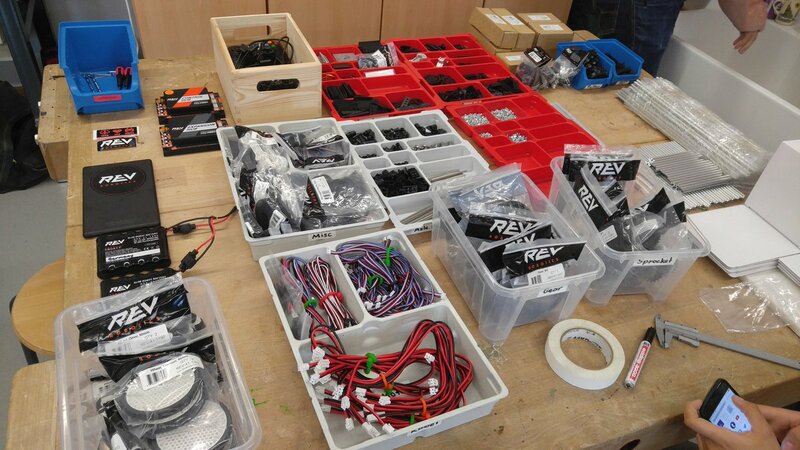 We were already looking forward to the unboxing but we had to wait for Friday because we wanted everybody to be present. All in all, we like this kit a lot better than last year’s. 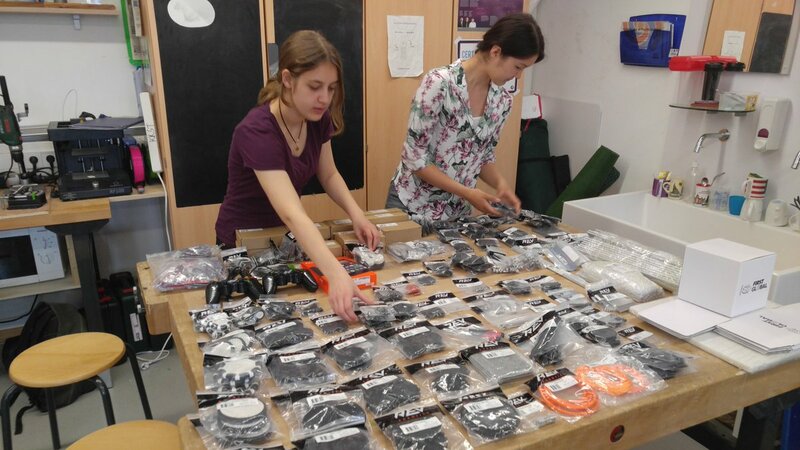 Most things are in greater quantity and we were especially happy to find that the amount of UHMWPE cord has been raised – no need to take the cord apart this year! But of course, we also had fun working together. Ordering a pizza and adding the carton to our collection is a must (it shows just how many long days we spent in school building robots over the last year). Previous PostPrevious Byte of… Linsen & Spätzle!